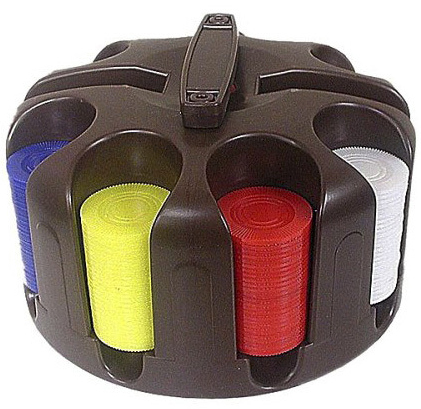 This Plastic Carousel with 200 Plastic Poker Chips comes stocked with 50 each of white, red, blue and 25 each of green and yellow interlocking poker chips for easy stacking. 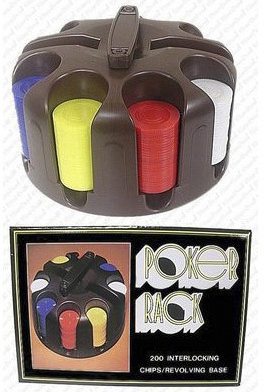 There is also included two decks of playing cards. The carousel spins smoothly on a revolving base and has a handle on top for easy transporting.